More shops in different locations will follow soon! Stay tuned! The color, size, print method and location of the print is fix. These shops works on mobile devices and on desktop browsers. 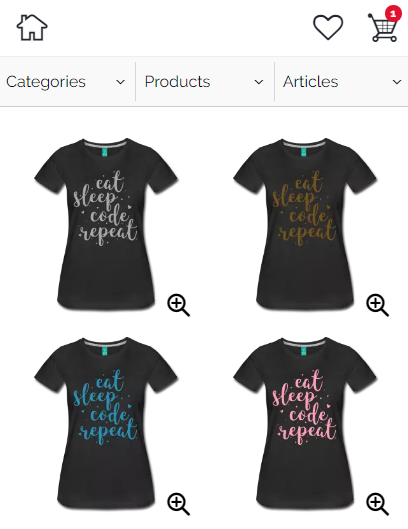 Choose from one of my designs and create your own custom t-shirt! Endless possiblities! 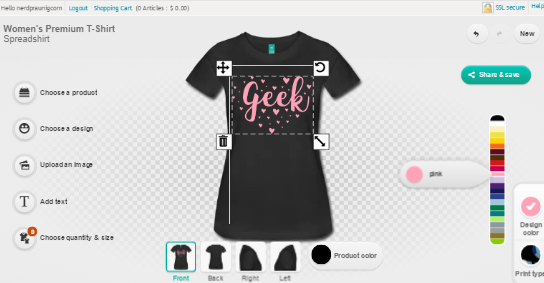 Create your own unique shirt! Currently the t-shirt designer doesn’t work on Android devices 🙁 Please configure your shirt on a desktop browser or with an iOS device.